It's been a while since I wrote about a GIS tool. Sometimes when I'm working with geographic data the need arises to create a set of repeating shapes and I look for tools to automate it. 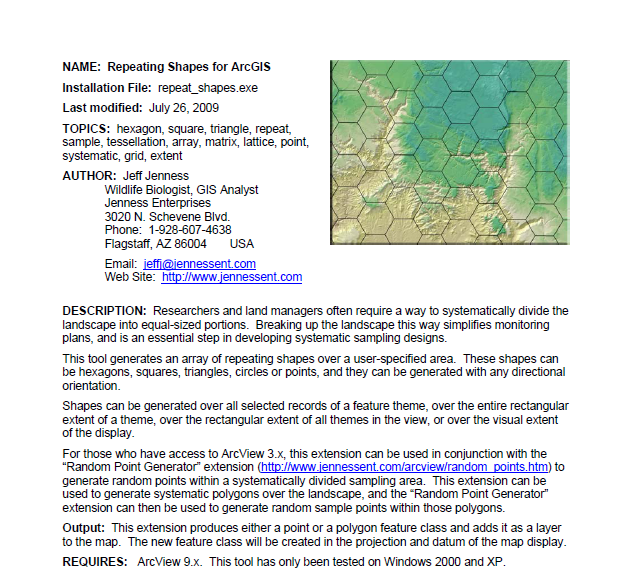 In ArcGIS, the best I've found is Repeating Shapes for ArcGIS by Jeff Jenness. Very easy to download and install and then you can get started. 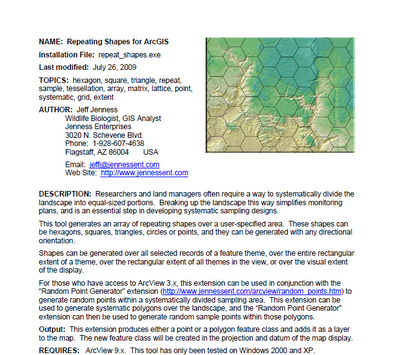 Some example images below based on hexagons and the documentation pdf.